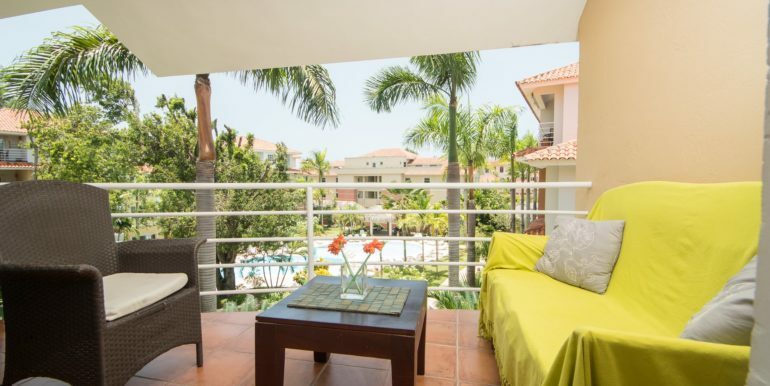 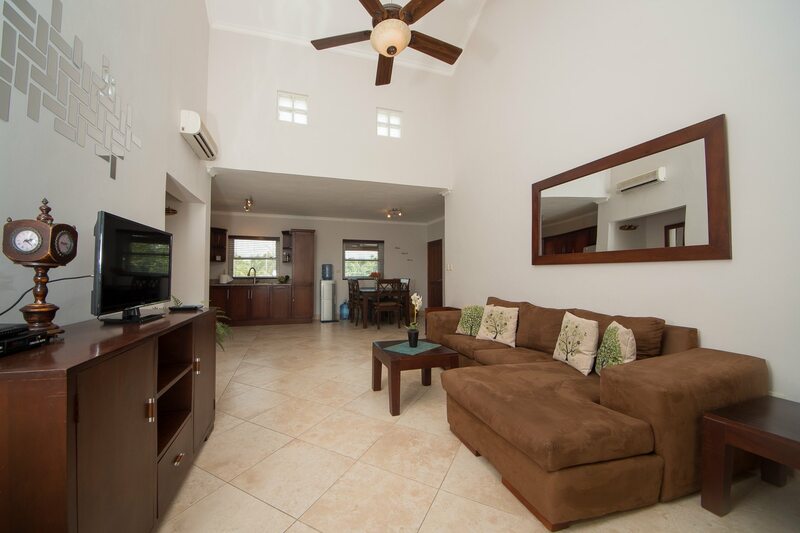 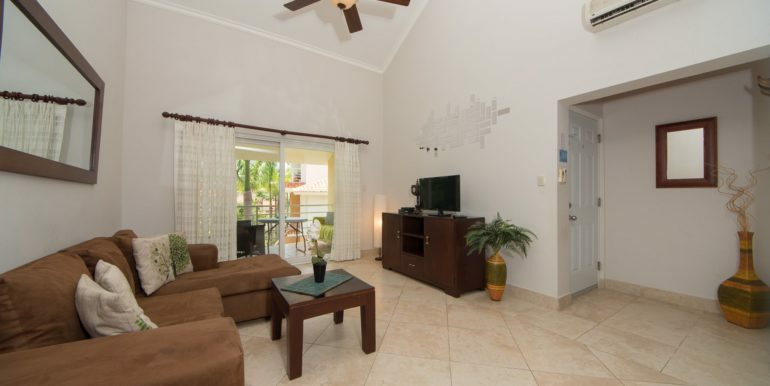 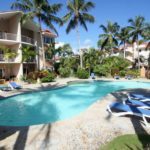 This One Bedroom Penthouse For Sale in Ocean Dream, Cabarete is located in the third floor, conveniently close to access Cabarete beach in a minute`s walk. 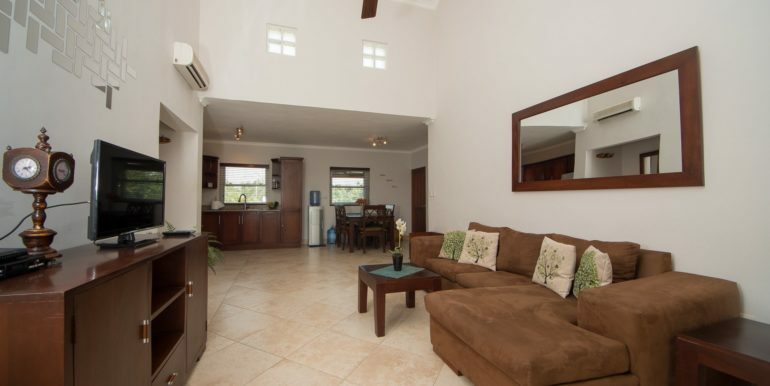 Its bright, spacious living room has high ceilings with sky light windows. 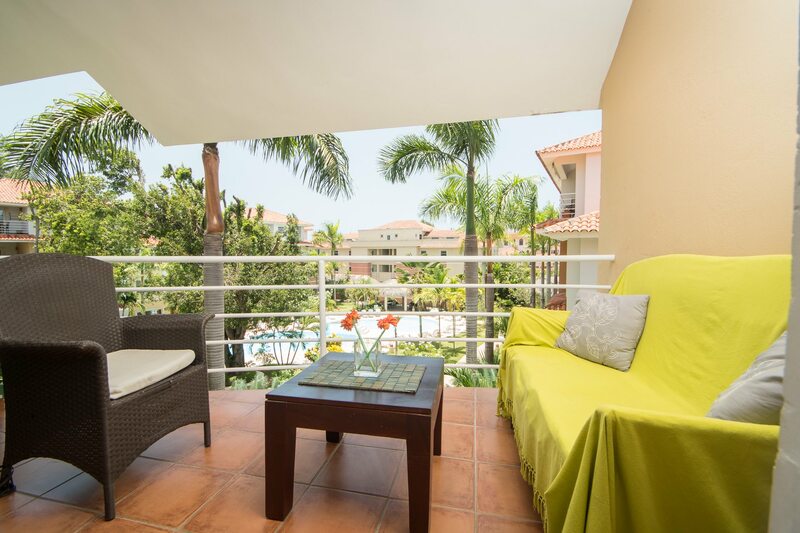 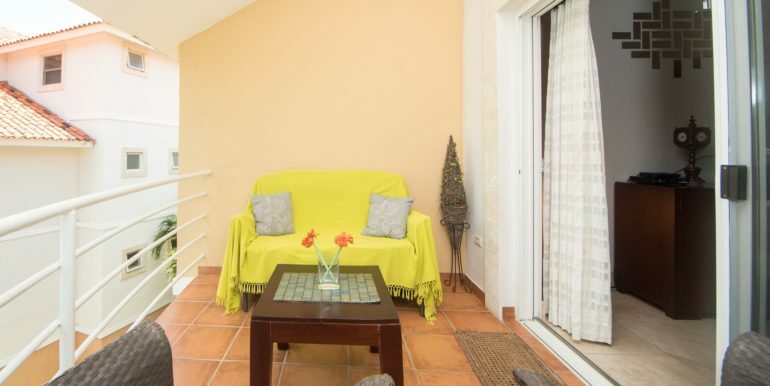 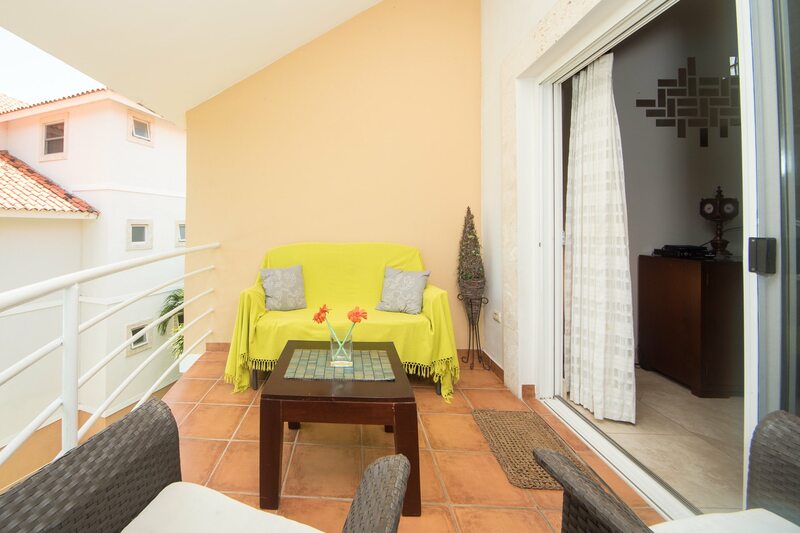 The private balcony overlooking the swimming pool and garden areas is accessed through the lounge, completely private and offering great views. 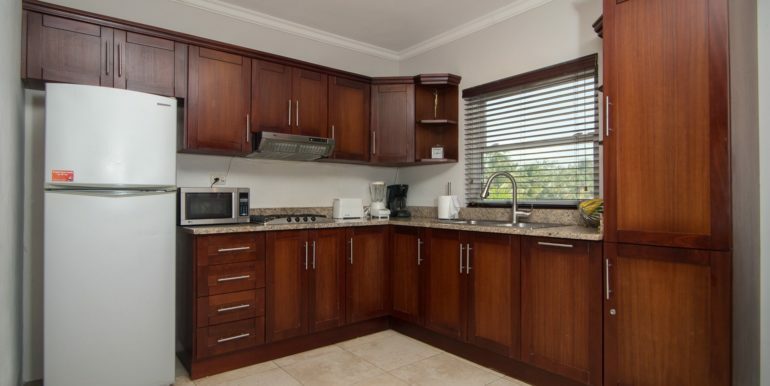 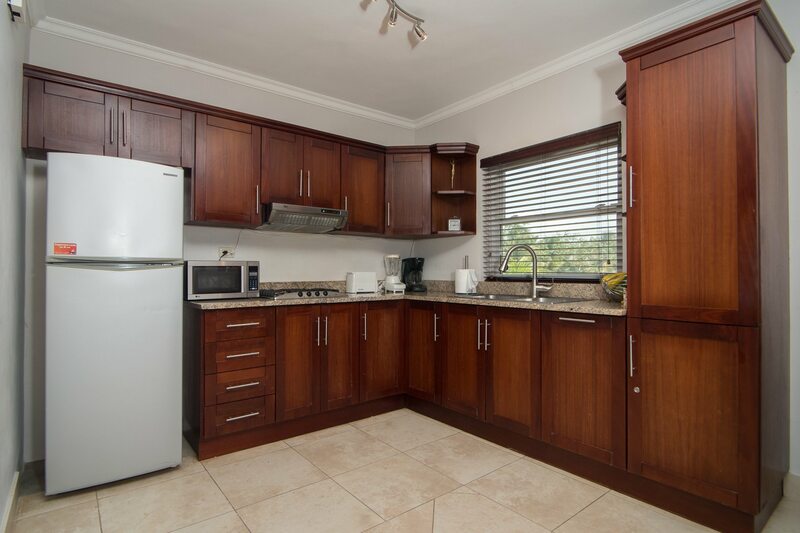 The modern kitchen features high end finish, with fine mahogany wooden cabinets and granite tops; fully equipped with cooking utensils and appliances. 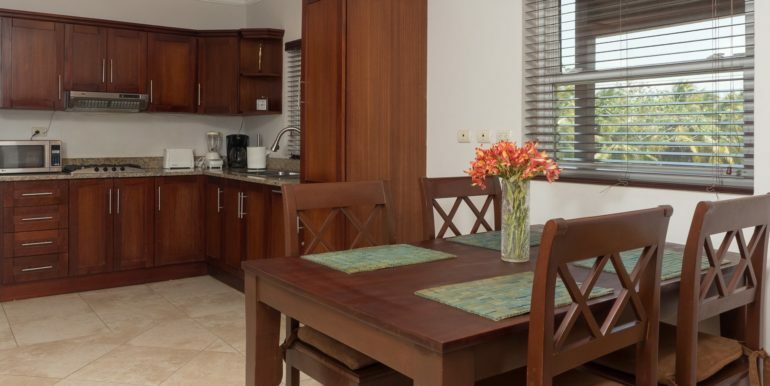 The condo dining area sits 6 people, not far from the kitchen area. 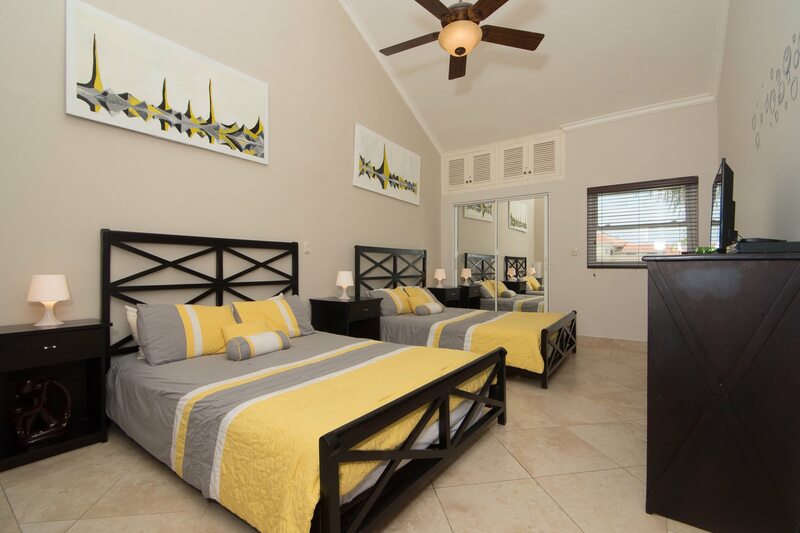 The bedroom is a generously sized master suite, includes 2 queen beds, dresser and a large closet. 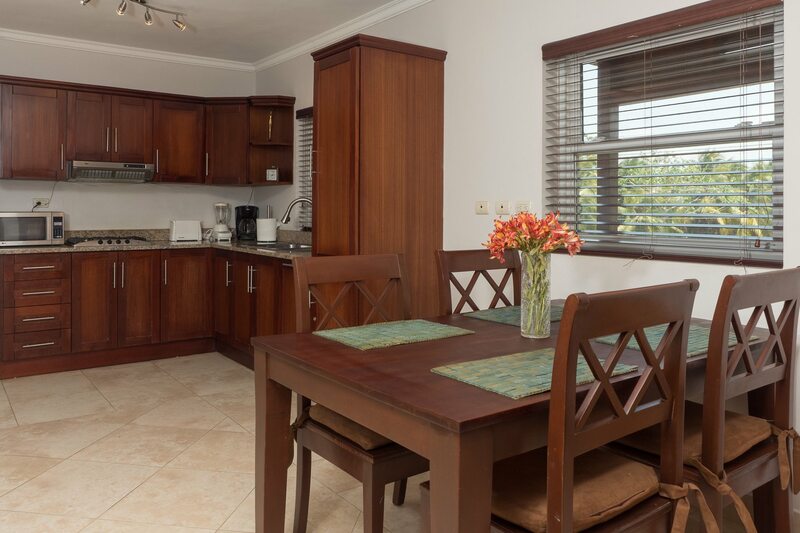 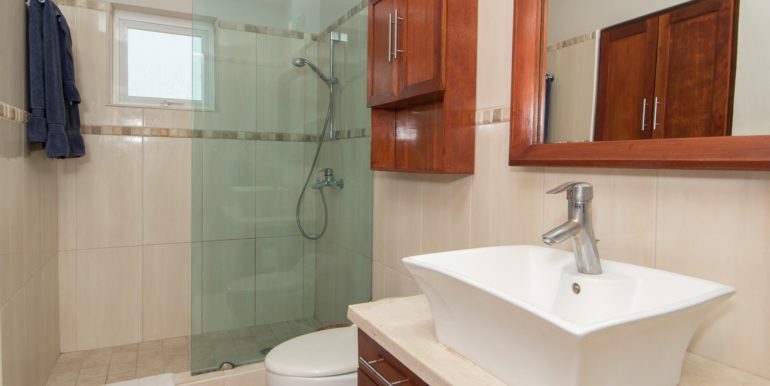 Its ensuite bathroom has marble tiling and granite counters, and the cabinetry was recently refurbished. 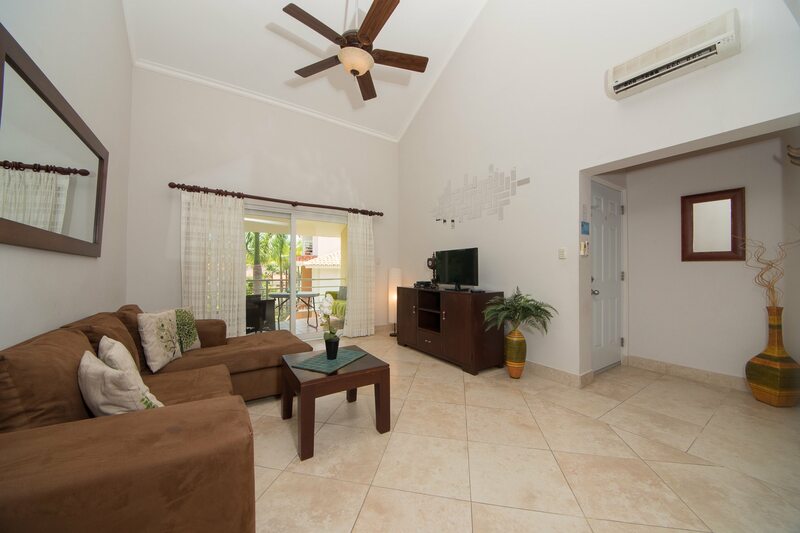 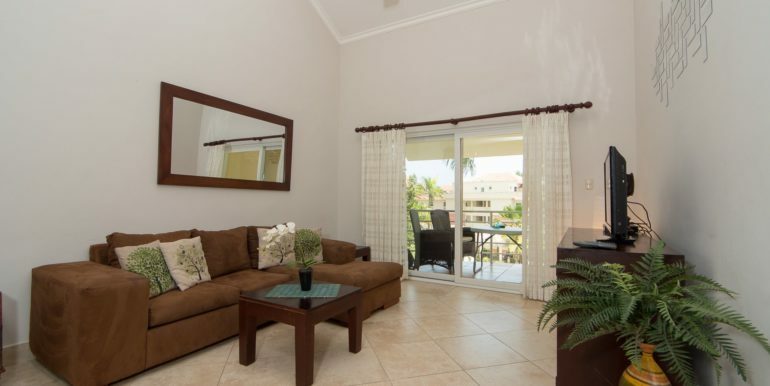 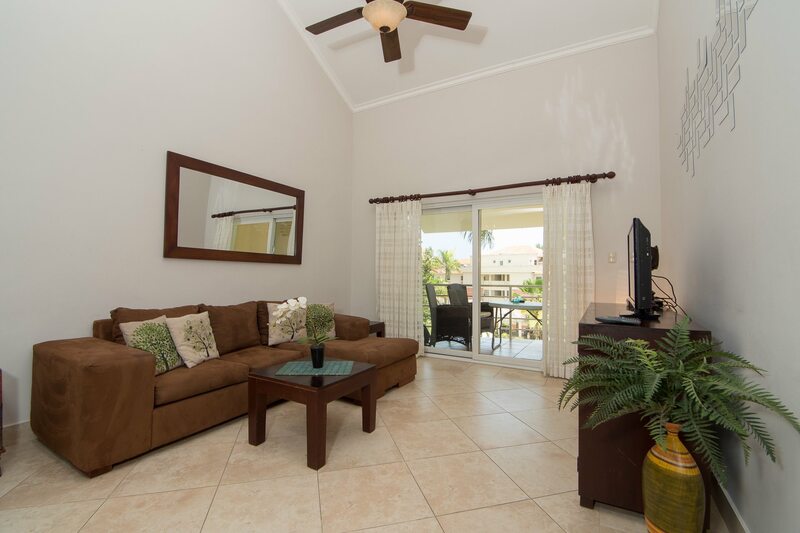 The condo includes individual room A/C, washer/dryer, 2 TV sets, cable TV and WiFi access. 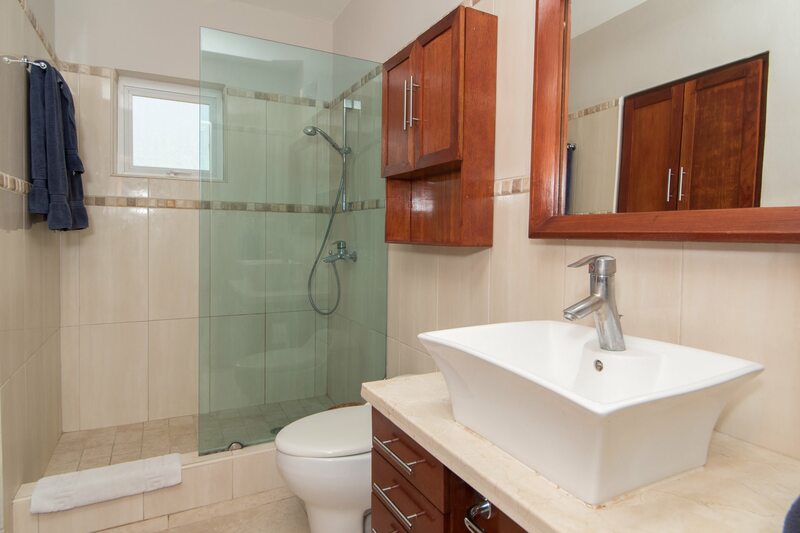 An individual locker storage unit is also included. 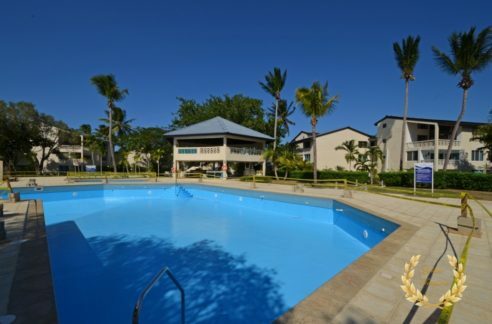 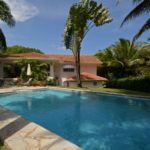 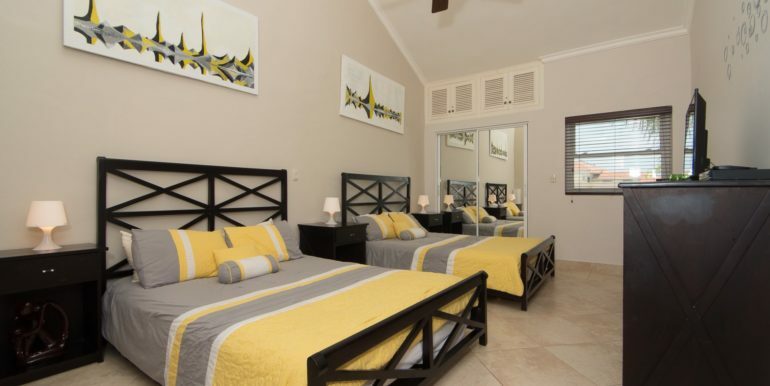 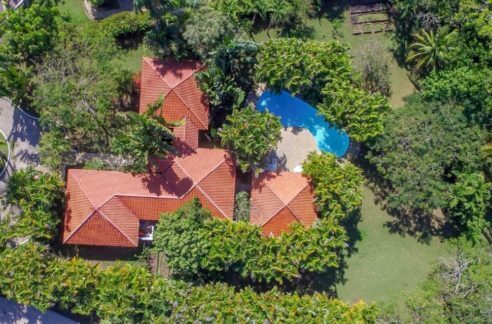 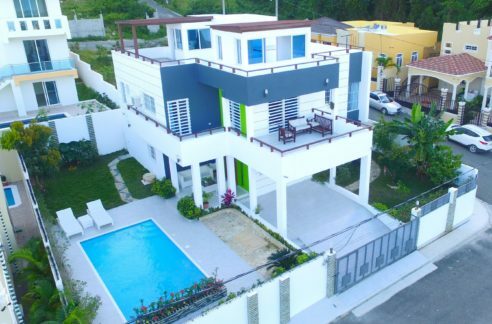 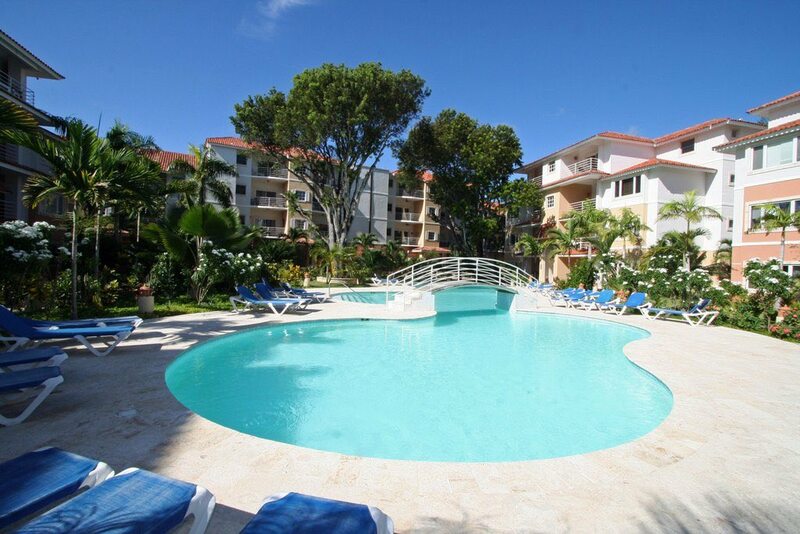 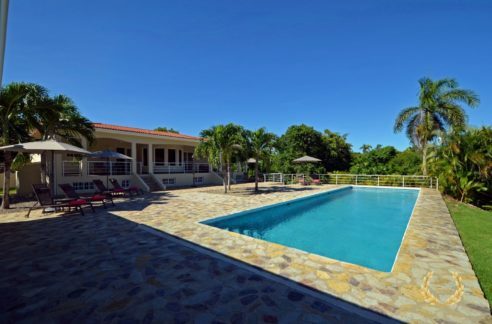 This beach complex has 24hr security, secure private parking and access to a large swimming pool area and BBQ, with direct access to Cabarete beach. 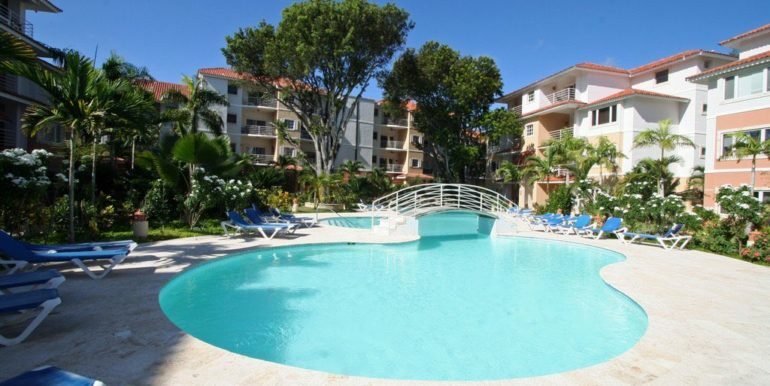 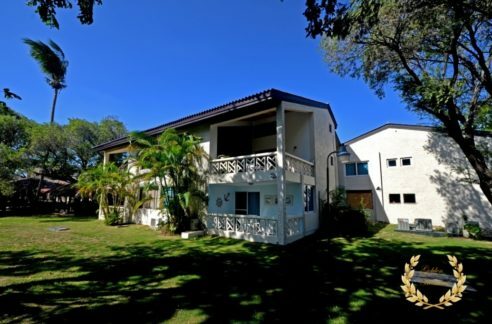 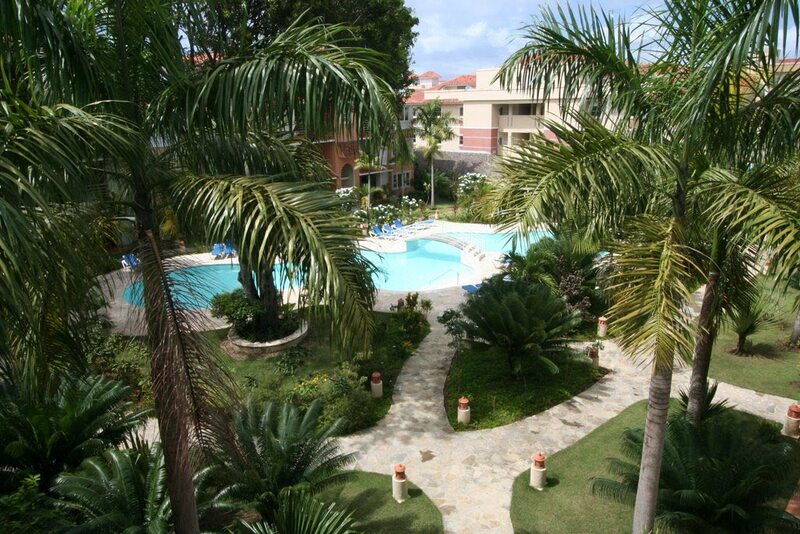 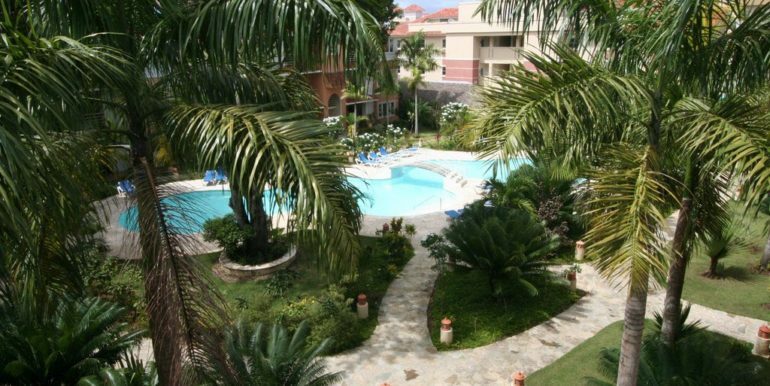 The condo size is 86m²= 925.6963ft² and has low HOA fees, clean title.